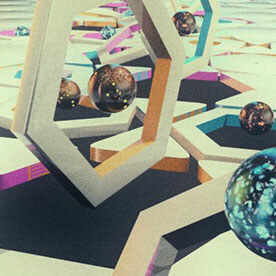 Cinema 4D. Using Boole to cut out holes and Cloner in a few different ways. Rigid body dynamics on the interior balls. Need to work on lighting.